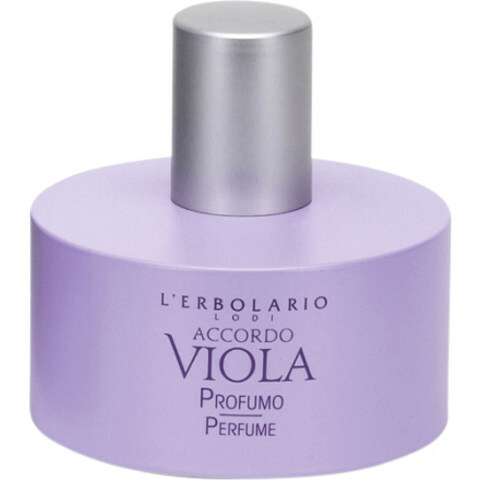 Accordo Viola is a popular perfume by L'Erbolario for women and was released in 2012. The scent is floral-powdery. It is still in production. This time it's hard for me to describe the scent, but I'll try it. It's beautiful, somehow old-fashioned, as if I'm pushing the creaking drawer of an old squiggly chest of drawers open and discovering all kinds of pretty things in it, things I actually know and like very well in the past, but which have disappeared from my memory. That is why I am particularly pleased to rediscover them so surprisingly. I look at her in peace with the feeling of experiencing a special moment. Gently my fingers glide over the rediscovered things and I feel like a lucky man. The treasures are brightly coloured and at the same time discreet, their colours go into creamy white and even more into delicate violet, like my spring lilac, whose flowers first shine in delicate violet and finally, when they are blown by the wind, torn from the branch, change to white. These things don't smell anything. I don't even know where this fragrance comes from, it's just there, breathes on me and envelops me, captures me and delights me to the core. And he accompanies me in one and the same intense way for many hours. It has something of a cardboard in it, like fine, slightly faded paper that comes from an old paper mill. Yes, perhaps the smell of these beautiful things that have remained hidden for far too long reminds me of the smell of paper, as it used to be, quite earlier, it smelled when I opened a book with my grandparents. I only ever took it secretly from a large display case, which also smelled very peculiar and mysterious. At that time we children were not allowed to open cupboards, drawers, unasked we were not allowed to do anything at all with our grandparents. And as soon as I was alone, took the book and stuck my nose into it, I was immediately struck by this very pleasant, actually strange and yet so familiar paper smell. Once again a perfume touches me, in the middle of which stands and works this simple, inconspicuous and so enchantingly beautiful flower of a viola and spreads its for me irresistible smell. Again I am completely taken with this kind of fragrance...I already know these nuances from my eau de parfum BALENCIAGA PARIS and the eau de toilette INSOLENCE, although these three fragrances differ significantly. 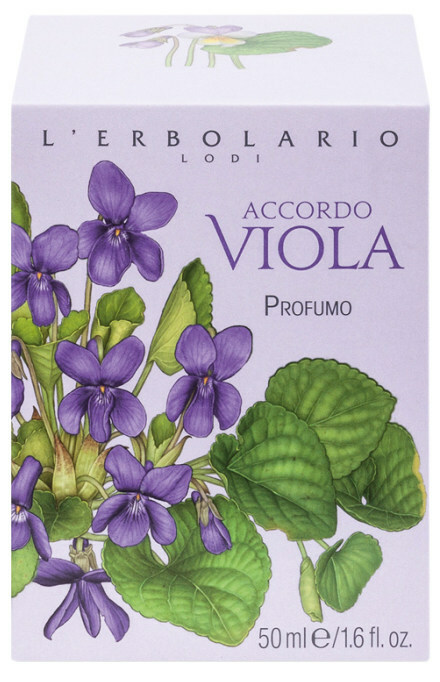 And if I wanted to emphasize the special, the distinctive feature of ACCORDO VIOLA, I would have to invent something. I can't smell everything out one by one. The fragrance is too perfect in itself, too closed in its complete balance. I can only let myself down and let myself in for this wonderful fragrance experience. Here you feel and reach the way from the tree in the forest to the wood and finally to the sheet of paper, to which it is processed with great care. I love this fragrance very much, by the way I bought it blind due to some comments here on Parfumo. And just like with some other perfumes, e.g. OMBRE ROSE, I knew from the very sensitive scents I felt and from the aptly formulated perfume comments that I could blindly trust this time too that VIOLA would please me 100%. Well, that's what happened. The bottle also reflects my sense of smell very well: it is simple, violet, without corners and edges and impresses me with its inconspicuous elegance. Hello ... does no one smell me, does nobody notice me? "screams" a little Violet at the side of the road. Obviously, nobody is interested. People rush by and pay no attention. Cars and bicycles narrowly pass by and disrespectfully spread their dust. Violet's fresh and beautiful aroma now turns powdery and soft. Sadly the little flower lowers her head and reminisces as so many times. Earlier, yes earlier, a great forest stood here and generously provided its fresh shade. Little violets gathered in a family together with many friends. And people were enchanted and appreciated their delicate beauty. Then, one day, loud and menacing machines appeared. All the little flowers were simply sacrificed. The whole big forest with its large trees had to give way. Humans much preferred a new road and a shopping center to indulge in their endless shopping mania. Now, only little Violet is left standing. Next to her is her friend, Mr. Shrub. He is the only one who still offers the shade needed and he enjoys her company. Ah, the good old times ... when people loved her delicate aroma, her lovely purple appearance, and never could have enough. Little girls collected clusters, little bouquets were offered in baskets at the town square market and ladies pinned a corsage to enjoy that lovely scent. Today. Now she must tremble, afraid that nobody steps on her, that no strange dogs pee on her, or that some rubbish is disposed on her. But a small consolation remains. There are still people who know about her delicate beauty and find joy in it. And as long as this continues, she will remain inside the battle, along with the big scents. And while she ponders, she hears the deep friendly voice of her neighbor, Mr. Shrub. Don't be sad, little Violet, you will see, one day when the humans have finished covering almost everything with concrete, they will again seek out your beauty and give you the spot you deserve. As a beautiful small flower with a soft, fresh and timeless scent. Be patient, little Violet, be patient.